The Carnival Triumph arrived at the Port of Mobile via tug assistance at approximately 9:30 U.S. central standard time yesterday evening, February 14, following an engine room fire that occurred on Sunday, Feb. 10. The 3,141 guests on board were debarked from the vessel by approximately 12:50 am CST and the majority were transferred via motor coach to either New Orleans or Galveston. Carnival reserved approximately 1,500 hotel rooms in New Orleans and the company is covering all travel and meal expenses. Carnival has charted multiple flights from New Orleans which were scheduled to begin departing for Houston at 8 am CST. The buses from Mobile that headed directly to the Port of Galveston, which was the ship’s original departure port, began arriving in Galveston at approximately 7 a.m. CST this morning. Guests are retrieving their cars and proceeding home. 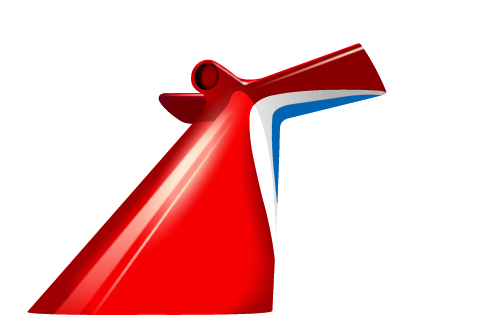 All guests on the Feb. 7 Carnival Triumph voyage will receive a full refund of the cruise and transportation expenses, a future cruise credit equal to the amount paid for the voyage, reimbursement of all shipboard purchases made during the voyage, with the exception of casino, gift shop and artwork purchases, and further compensation of $500 per person. Carnival has also canceled 14 voyages of the Carnival Triumph through April 13, 2013. Guests on the affected sailings will receive a full refund of their cruise fare, as well as non-refundable transportation costs, pre-paid shore excursions, gratuities, and government fees and taxes. Guests will also receive a 25 percent discount on a future three- to five-day Carnival cruise or a 15 percent discount on a six- to seven-day cruise. Travel agent commissions will be protected. The ship is being towed this morning from the cruise terminal to a shipyard in Mobile where a detailed damage assessment will occur. It has not yet been determined whether or not it will be necessary to place the ship in a dry dock facility. The investigation process has begun, as well, in cooperation with the U.S. Coast Guard, National Transportation Safety Board and the Bahamas Maritime Authority.